Do you celebrate your B-day in August? Do you celebrate your B-day in August? 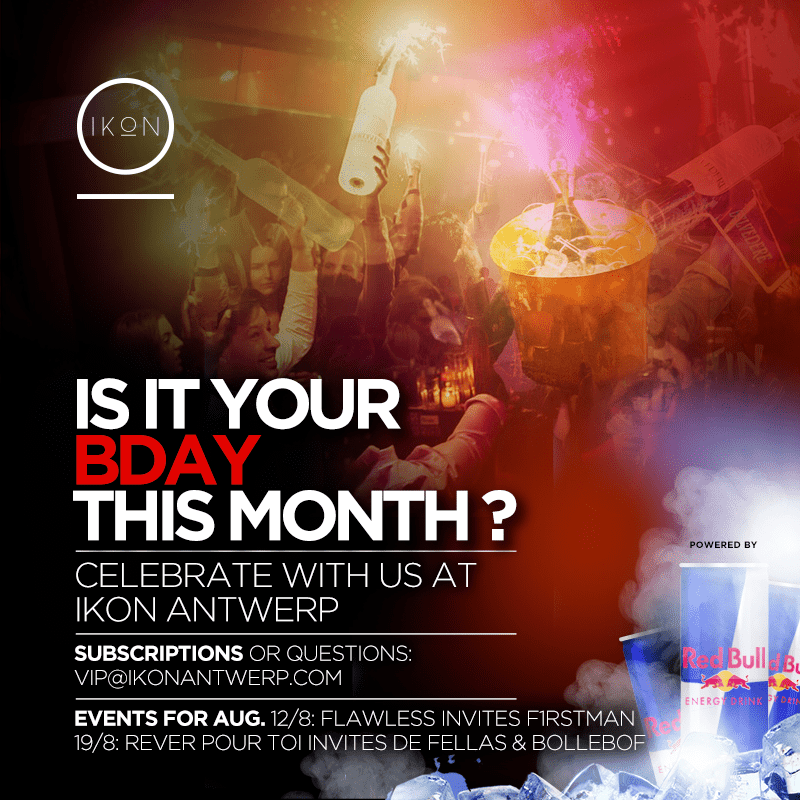 Celebrate it together with us at IKON Antwerp! Sat. 19/8: Rêver Pour Toi ✦ IKON Antwerp ✦ De Fellas, Bollebof, Gio & more! Previous PostOur Monthly ladies nightNext PostDo you celebrate your B-day in September?